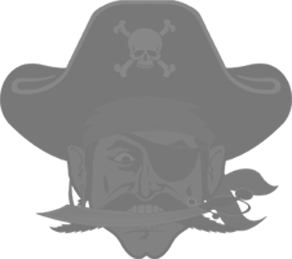 From the Port City to Hollywood and back again, Oswego High School’s own Gary Carpentier visited with students on Wednesday morning, telling them to follow their passion and cherish their time as Buccaneers. Carpentier, OHS Class of 2009, recently appeared as a finalist on NBC’s singing competition program “The Voice,” and said he “always wanted to give back” to his alma mater after “four great years and a defining portion of my life” involved in the music program. It’s a long journey from the halls of OHS to being featured on a primetime network television show performing for 18 million viewers worldwide and Carpentier’s soulful, crooning style earned him a spot among the final 48 contestants on “The Voice” out of more than 90,000 who auditioned. As an OHS Junior, Carpentier was cast as Gaston in the Drama Club’s production of “Beauty and the Beast,” starting him on a path to pursue a career in music full-time despite the risks. Carpentier said he stretches, warms up and sings “every single day” and that the 90 seconds on television that introduced him to a national audience were the result of nearly ten years of perseverance. “The work you put in when no one is looking is the most valuable and you guys are in excellent hands here at OHS,” he told students. Following his breakout performance on “The Voice,” Carpentier is preparing for a nationwide tour including dates in Philadelphia, Texas and Florida, in addition to continuing gigs in Oswego and Central New York.